Establishing a company that is successful is a tremendous feat. If you have managed it, well done! However, while everything is running smoothly, you may soon find that your growth has plateaued. Everything may be ‘stable’ – but you aren’t climbing higher, even though you really do want your company to get to the next level. Do not panic. This is completely normal. I have yet to encounter a business where stimulating growth has not been an issue at some stage of development. As any business coach or mentor that is worth their salt will tell you, what got your business from A to B almost certainly will not be helping you get from B to C. This is a major hurdle many business owners need to overcome. The way you have been running your business will need to change – or at least be adjusted – in order to rise to the next level. Before you do anything else, stop and take a look at what you are focusing on. Most business owners and executive leaders will be focused on the more immediate ways to grow, rather than trying to figure out the root of why growth is not happening. You cannot fan a fire when you are only looking at the smoke. For sustainable business growth, you need to do a deeper investigation into your business. Ask ‘why’ about everything. Talk to each level of your workforce to gain a holistic view of how the company is doing and get to the root cause of why things have slowed down. In addition, ask your customers about their experience with you, to get an external view of your company and offerings. Gathering this information will likely give you a clearer idea of where your focus should be in order to get your business growth strategies blazing again. Do you need to improve your customer service quality, or do you need to focus on innovation and product development? Do not guess, find out! Every business owner has a vision for the business, even if they have not yet formally written it down. However, actually spelling out and recording that vision is an important step towards creating a more aligned business. A strong vision helps guide your employees towards tasks that make sense for the company’s overall success. It helps them understand where their contribution fits. And It helps you steer the ship. So, if your business’ revenue streams are waning, evaluate your vision and check whether it is still relevant. If so, then does everyone in your organisation have real motivation for achieving it? If not, talk to your team and revaluate the vision so that it provides a sufficient challenge to achieve more, while illuminating a bright future for every member of your organisation. If you do not yet have a vision written at all, take the time to sit down and write one. It can be useful to think about your personal goals first. The most successful companies I have encountered are those where the business goals are working towards helping the business owner achieve their personal goals in some way. You can use this simple Personal Goals Template if you need a structure for planning your goals. Different fuels produce different fires. You can light a candle with just a small amount of wax and a wick, but if you want to create a great bonfire, you need much more significant fuel. In the same way, different stages of growth in your business will require different resources – and the resources in your business are individuals on your team and their talent. During the start-up and small business phase, you will always need to look for entrepreneurial individuals who are excited about plunging in wherever they are needed and willing to do whatever is necessary to grow the business. However, once your company grows larger, different personality types are needed to complement your team in various other ways. When you experience a slow-down in growth, take a moment to evaluate the members of your team and their roles. You may want to run a DiSC assessment to get an idea of their working style and what role best suits their strengths. Also consider what kind of strengths are needed in your business at the moment. Do you need a sales person who is great with face-to-face communication? Do you need someone who is systems oriented to help organise your administration? Do you need a task-oriented individual to help run your processes? If you are missing strengths, then you need to consider acquiring new people to fill those. You can light a fire by just throwing a match on a bunch of kindling. 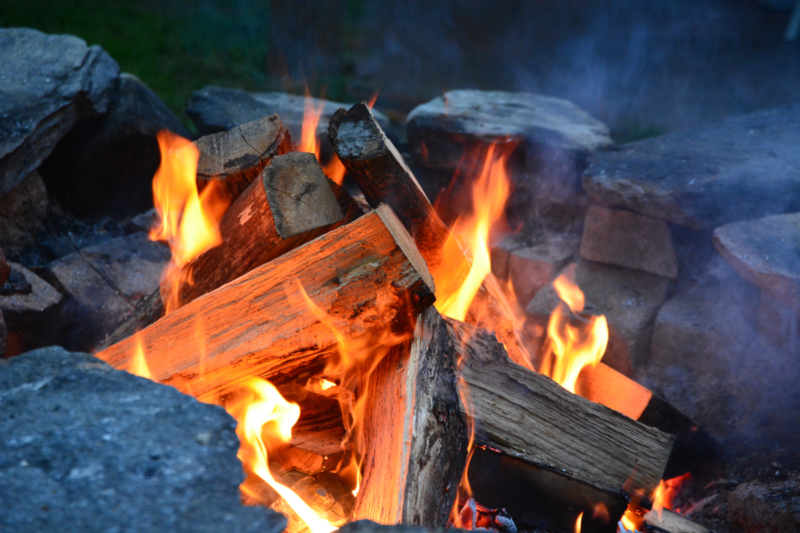 But if you want to build a big fire, a fire that lasts, the pile requires a bit of planning to ensure it is structured in a way that gives good airflow to feed the fire. When companies first start out, one of their tools to success is the organisation’s ability to pivot and adapt. However, if you are looking to go beyond the small business success and start reaching for the next level of growth, you will need to re-evaluate your organisational structure to align with your new business growth strategy. If your organisational structure currently seats yourself – the business owner – in more than one critical position in the company, then you are facing a structure that is inhibiting growth. This is because it relies on you to do multiple roles – which is an unsustainable and unscalable mode of operation. As your business gets larger, you will need a more structured and clear organisational model in order to allow processes to flow through your business effectively. This also allows you to give each employee clearly defined roles and specific accountabilities, so they can work more effectively. Testing, measuring, tracking and reporting. These are absolutely critical for business growth. Entrepreneurs often see the tracking of individual performance as a luxury that they simply can’t afford. Their time is better spent hacking away at the long list of things they need to do to keep their business running. However, without clear visibility on performance, how do you even know if your business is growing or not? As the manager and leader of the business, it is down to you to consider and define the Key Performance Indicators (KPIs) for your employees. What is the primary metric that determines their performance? How are you tracking this? You can then get a clearer picture of who’s in the right role, and where there is room for growth. As such, you can adjust your business growth strategies to be aligned with the metrics where your company is weakest. The best part about making sure you keep an eye on things? You can now celebrate (with, maybe, a bottle of champagne) whenever you reach a new milestone – because you actually know what they are! That fiery growth you experienced in the initial stages of your business may begin to wane. However, it does not mean that you cannot get it back. Complete these five steps and it may become clear how to have your business growth burning bright once again. Shweta Jhajharia is Principal Coach and founder of The London Coaching Group, an ActionCOACH company. Shweta is a multi-award-winning business coach, and a popular keynote speaker. She has been recognised both by external bodies and the industry awards panels as the top coach in the UK, and the Number 1 ActionCOACH from over 1200 worldwide. She has also been invited to speak at large business events such as the bi-annual Business Show.